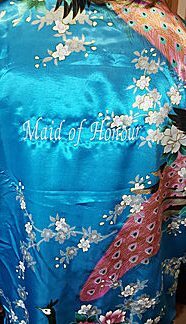 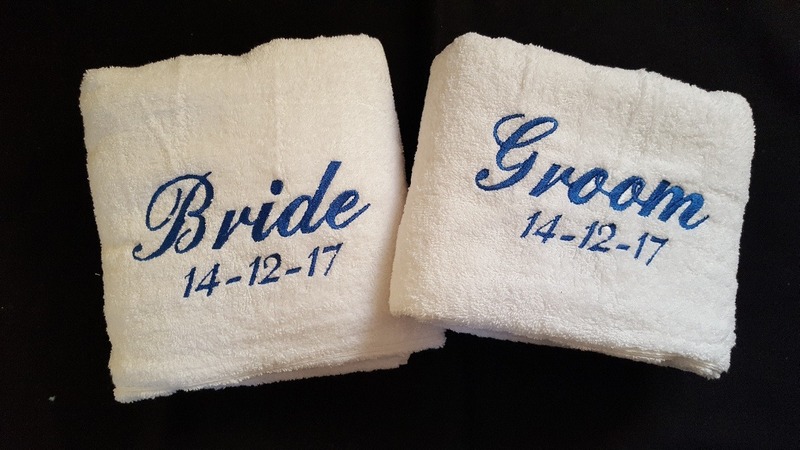 Your wedding day is a special day so why not have something to remember it by or a gift for your bridesmaids, etc..
A dressing gown makes a nice addition to a spa hen do or even on the big day when getting ready and a nice keepsake for your most important friends and family members. 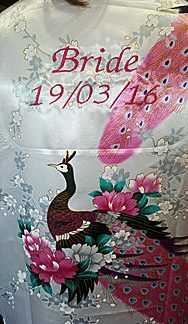 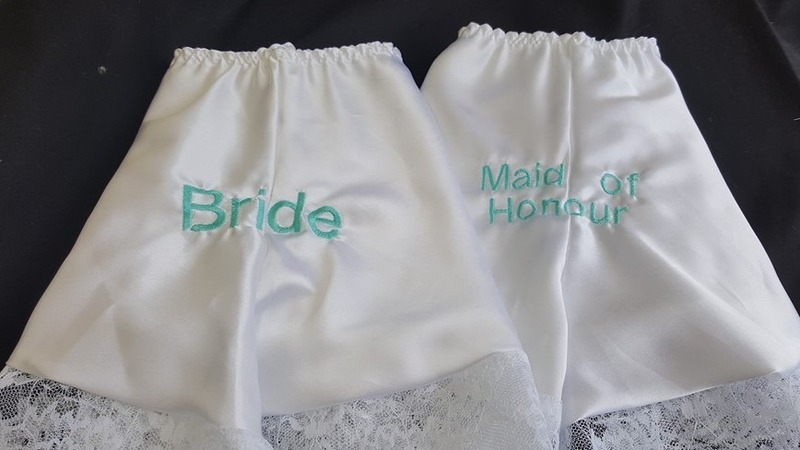 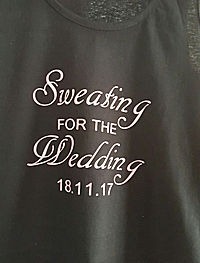 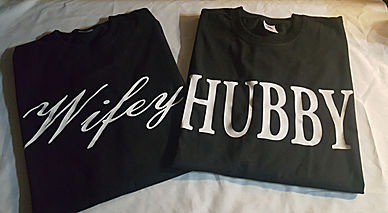 Design your own wedding clothing with your bespoke text. 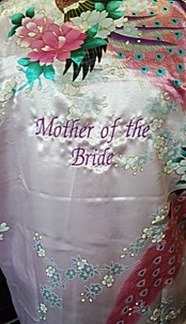 Garments can be provided or supply your own. 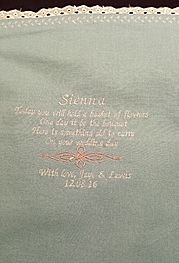 Prices vary depending on the text and choice of embroidery or vinyl print. 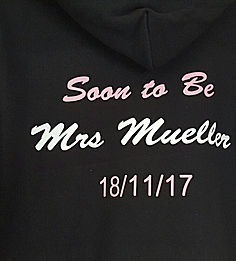 Avaliable in Vests, T-Shirts, Hoodies. 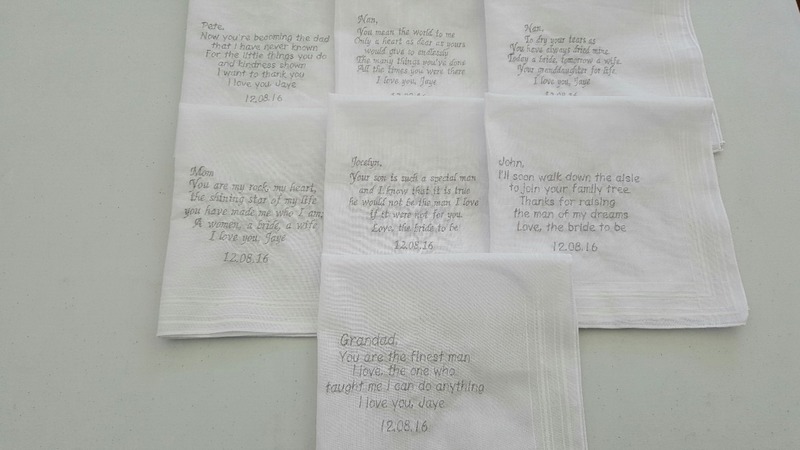 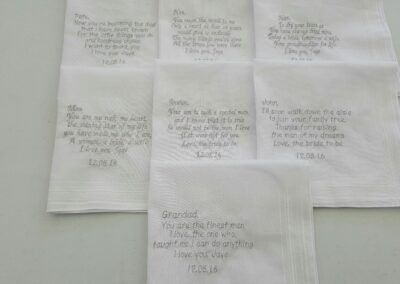 Favours are made to order with you personnal message embroidred on them. 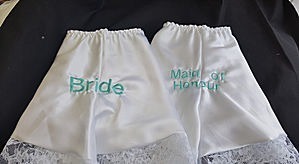 These will make a great keep sake for any occassion. 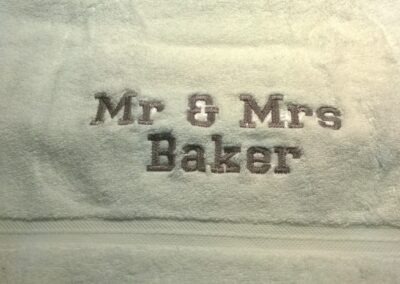 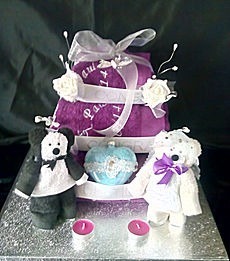 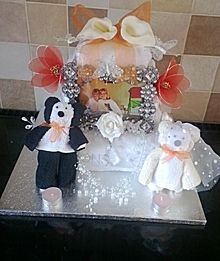 These cakes are hand created out of a collection of different size towels which you can specify the colour. 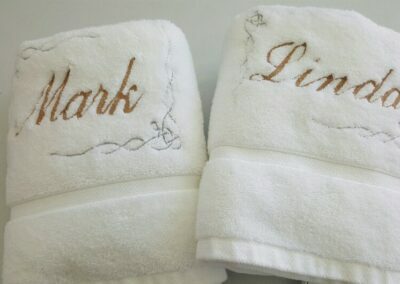 The Towels will be bound together with ribbons and decorated with silk/ foam flowers. 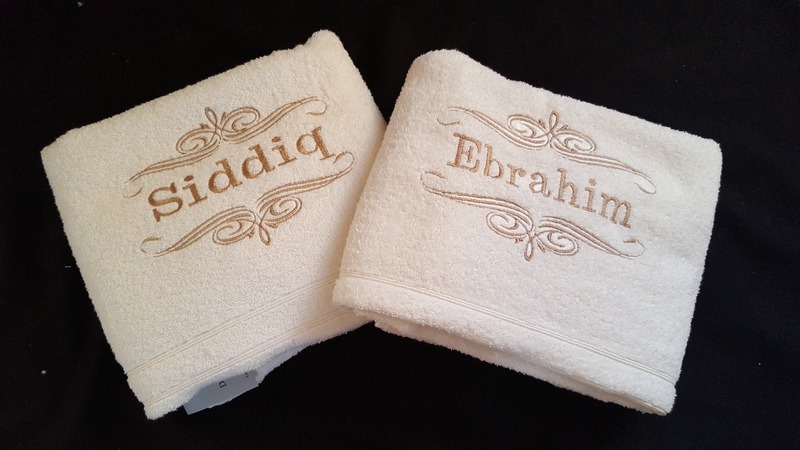 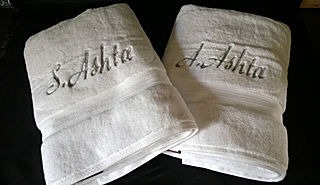 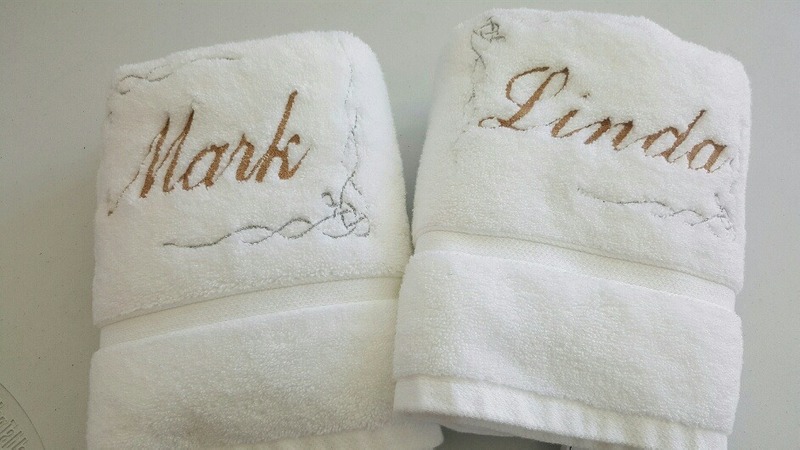 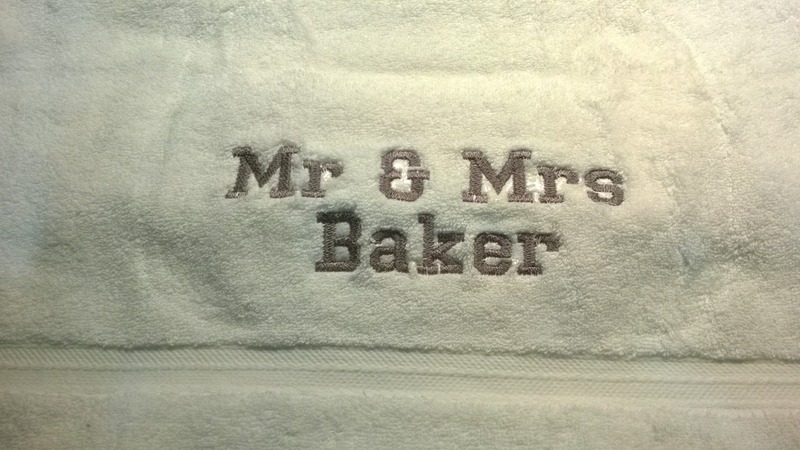 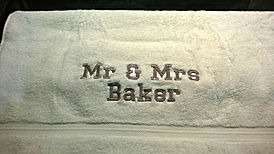 These Towel Cakes make a great gift for any wedding occasion, adding the bride and grooms name and marriage date makes it a unique gift. 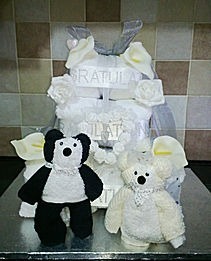 Please contact us before buying as these are heavy and postage will need to been quoted depending on weight.